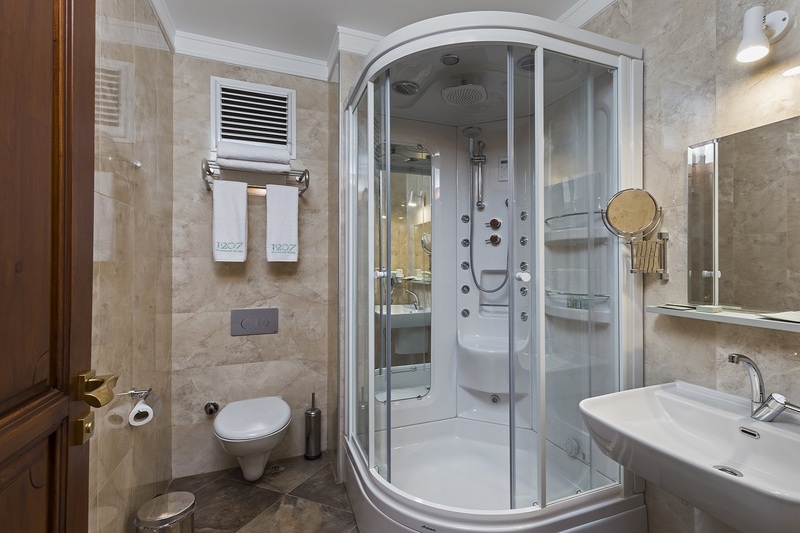 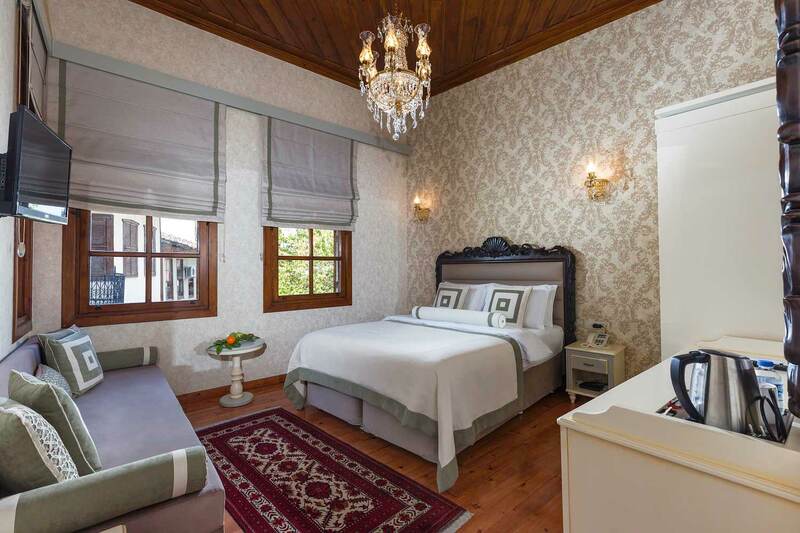 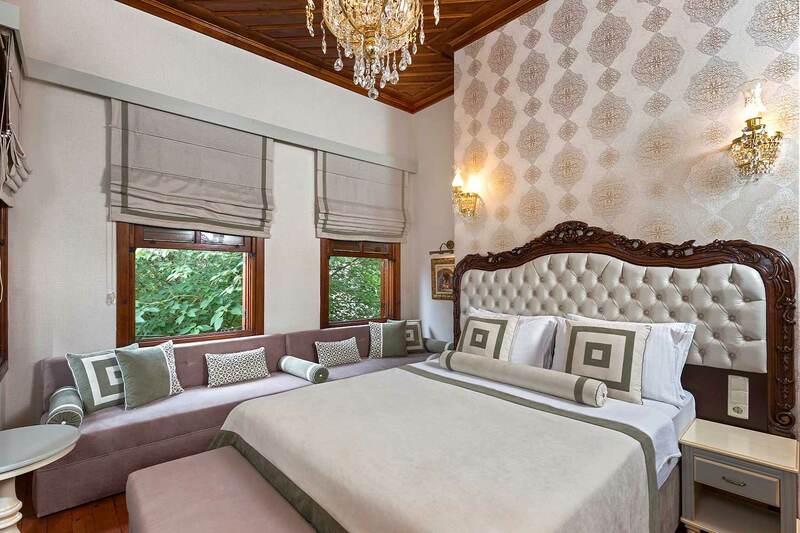 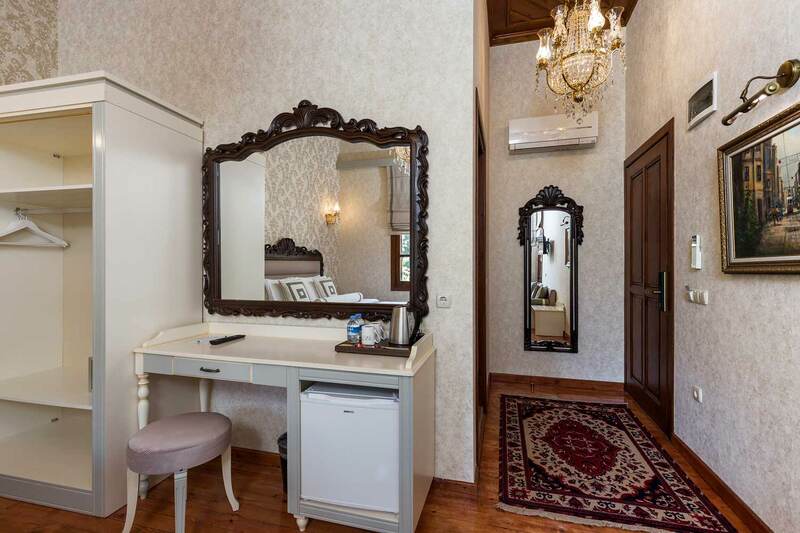 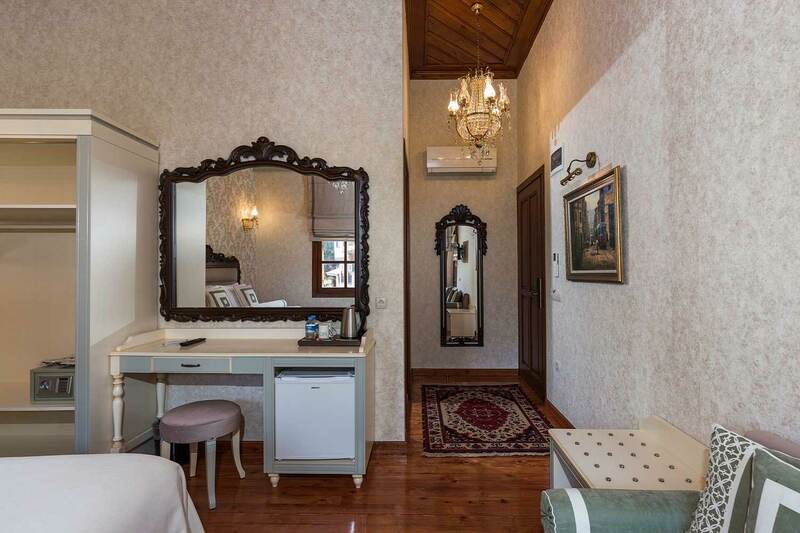 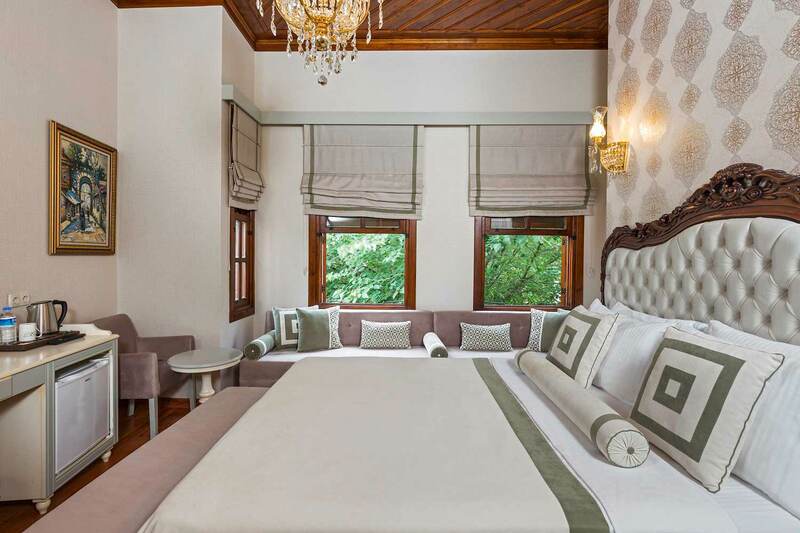 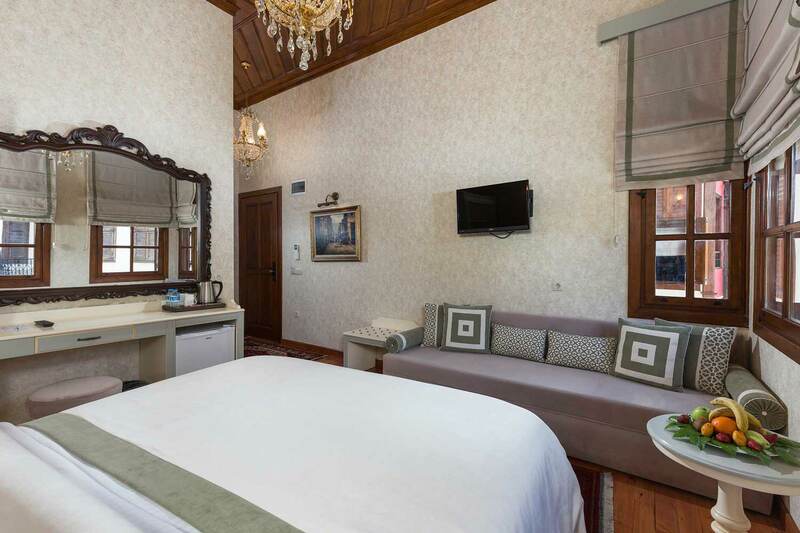 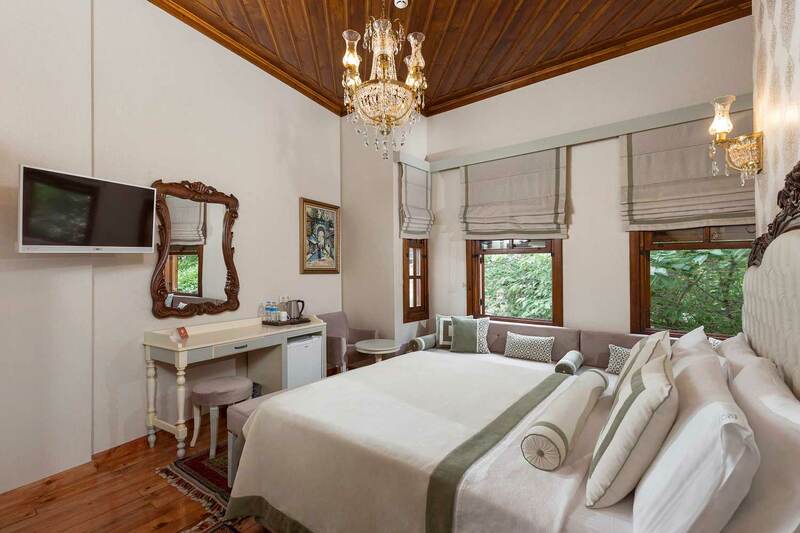 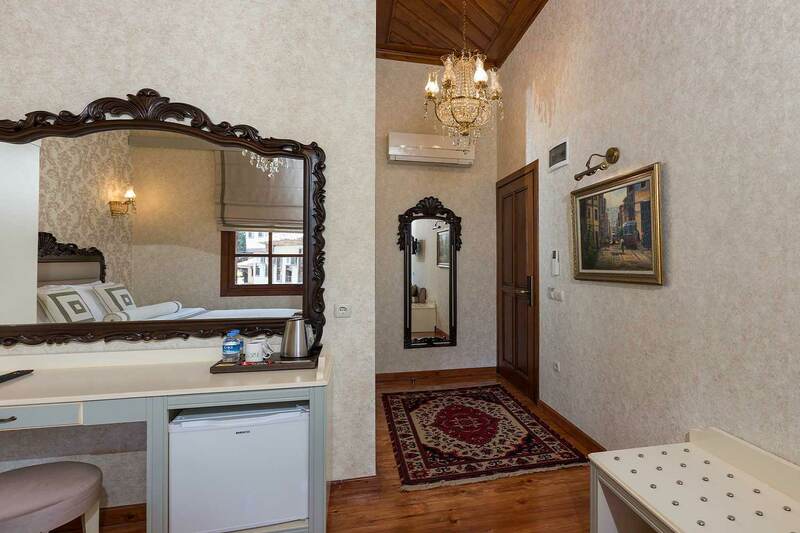 Lovingly furnished in antique style, individually decorated in size. 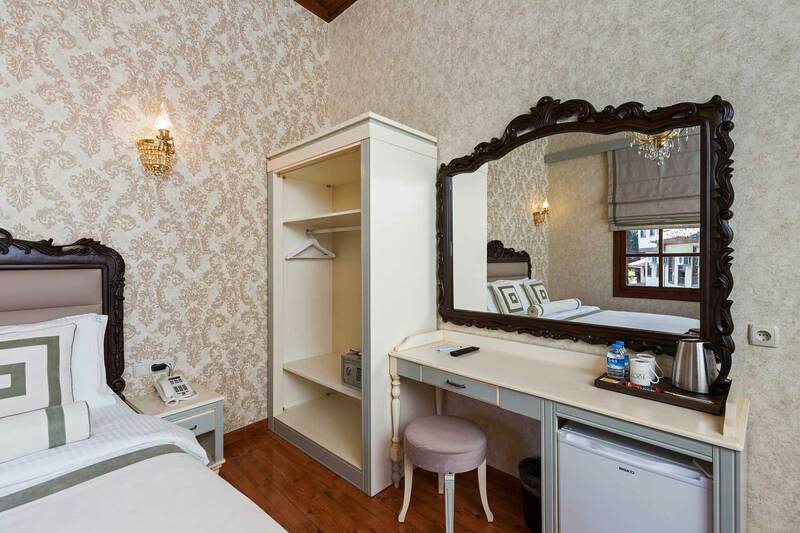 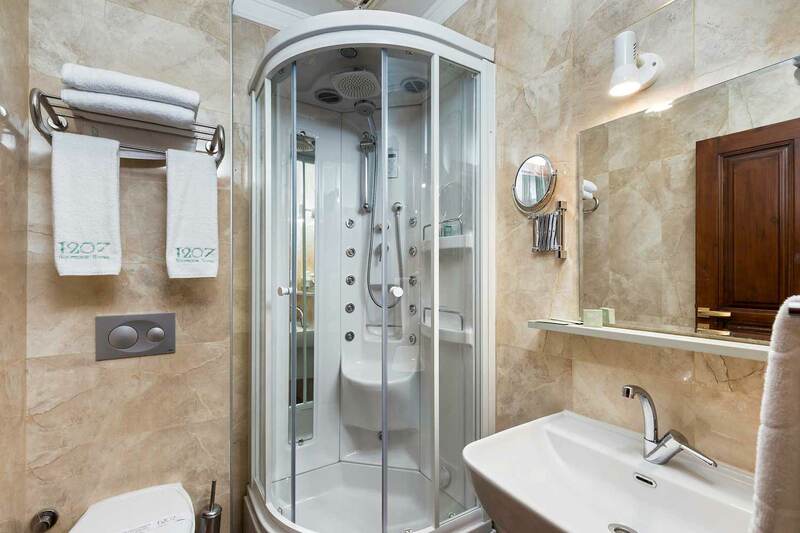 All rooms have sofa ,shower / WC, hairdryer, Kettle , Tea Coffe Set,Shaving kit,tooth paste-toothbrush, direct dial telephone, mini bar (extra charge), safe (free of charge) TV with satellite ,reception, air conditioning, Wi-fi, wooden floor. 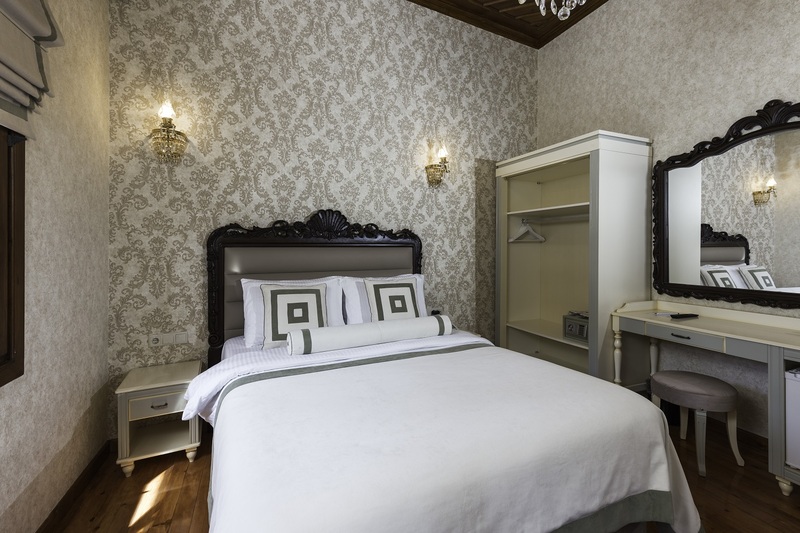 The Junior suits are about 20 m2 and there is one double bed with Sofa in the Rooms.